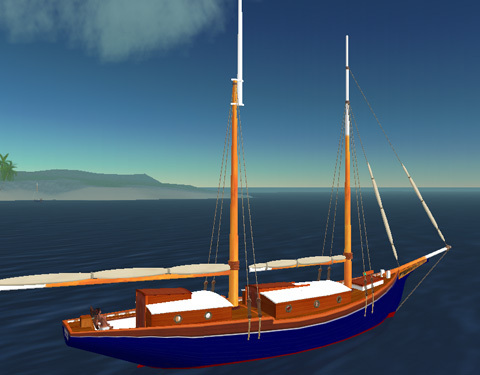 We proudly launch our topsail schooner “Larinda“, the largest and most elaborate sailing yacht of the Trudeau fleet. 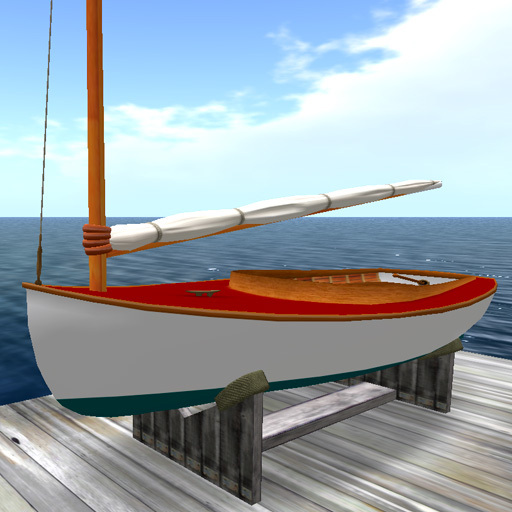 After a flurry of building activity in the Trudeau yards, the last bit of varnish and antifoul paint dried just in time to make the opening of the Sailors Cove Sailboat show running Oct 14th though the 20th. 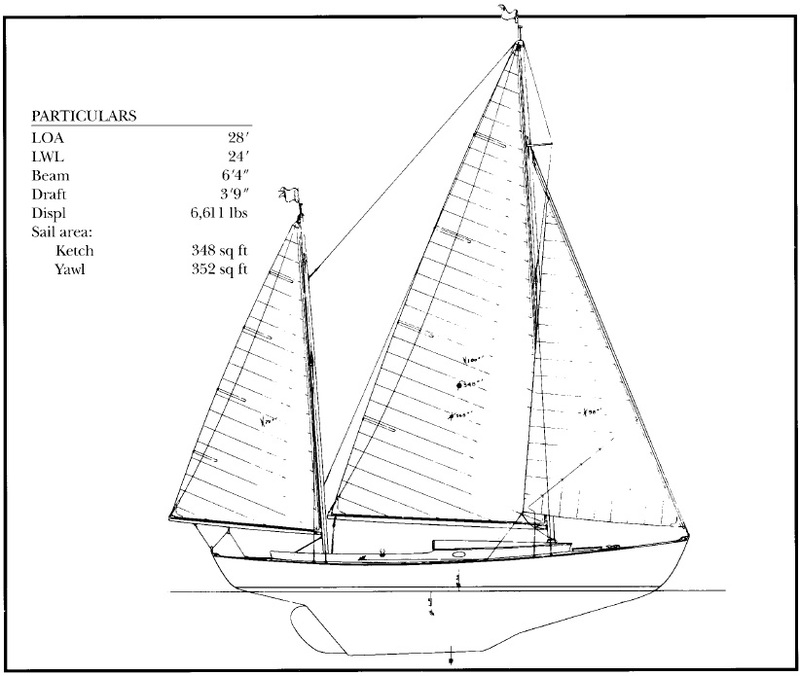 At 70 ft from sprit to fantail, she is influenced by the designs of famed naval architect John Alden, considered the world’s greatest schooner designer. 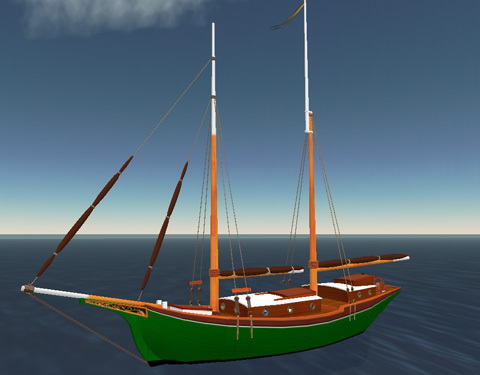 Also reminiscent of the 19th century New England fishing schooners, she was lofted and built up from RL boat plans, so her lines and proportions are as exacting and true to life as we can make them. 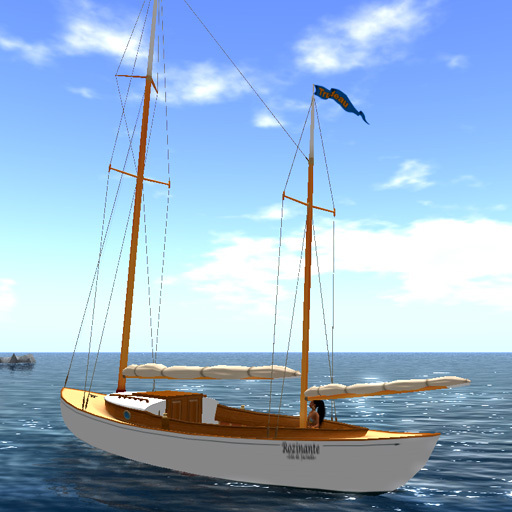 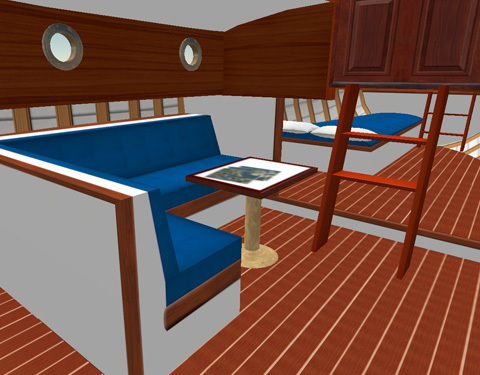 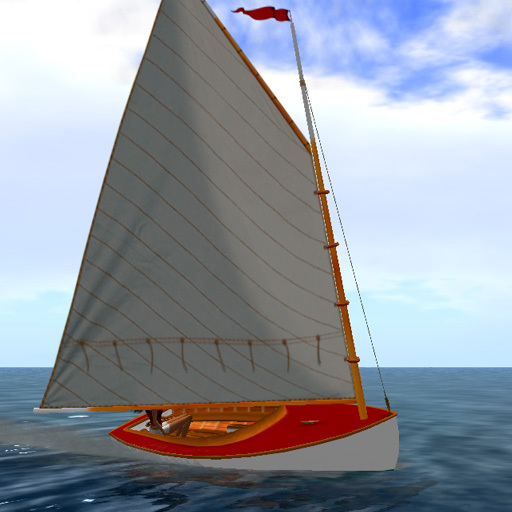 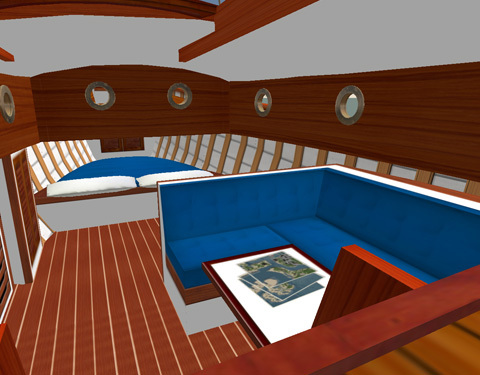 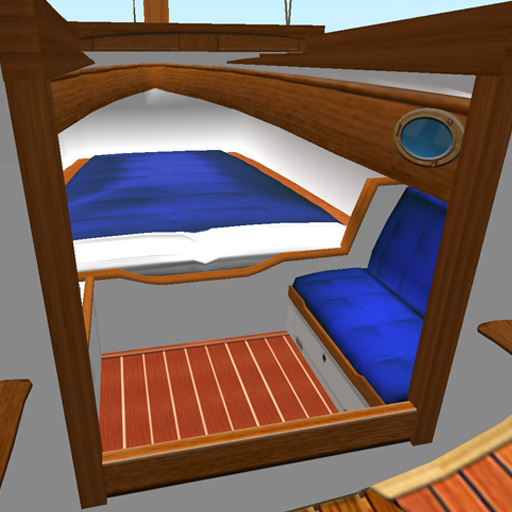 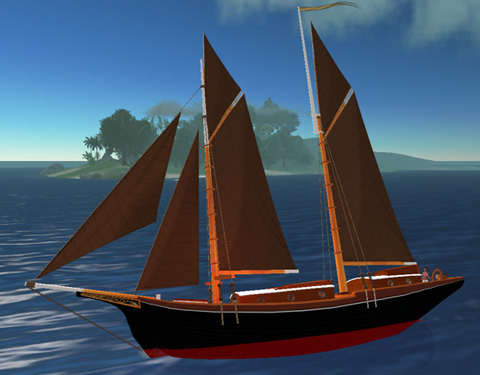 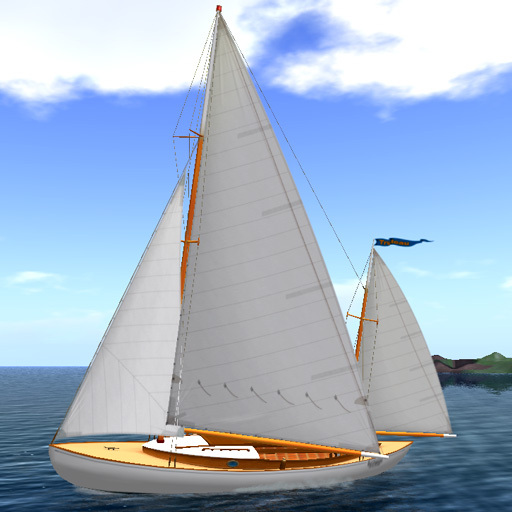 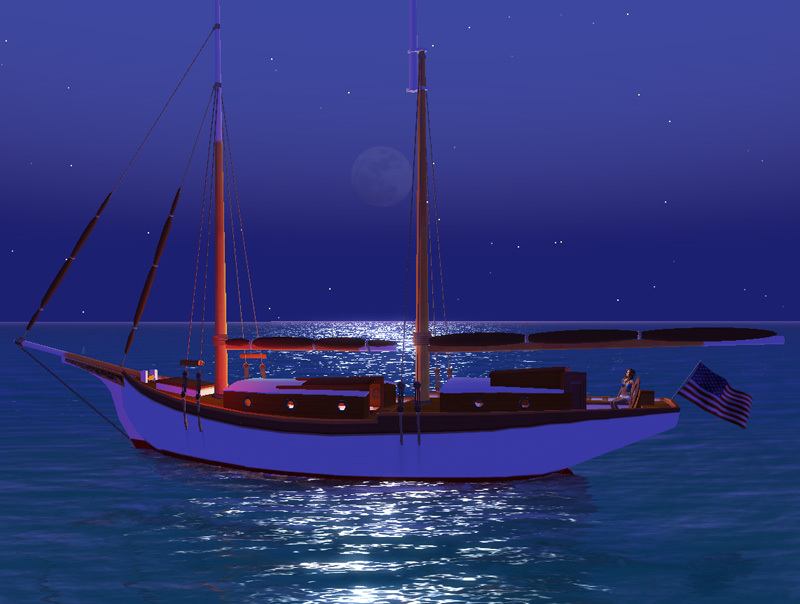 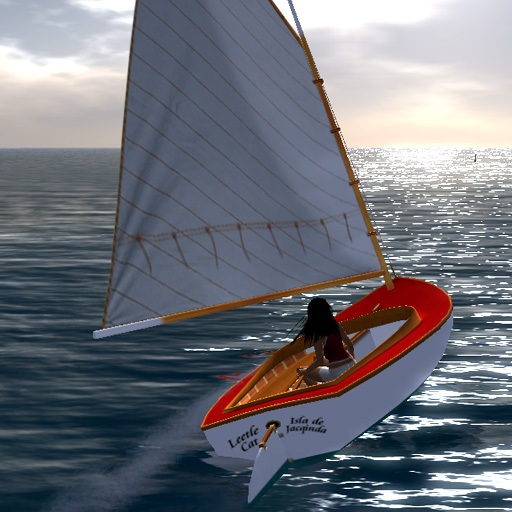 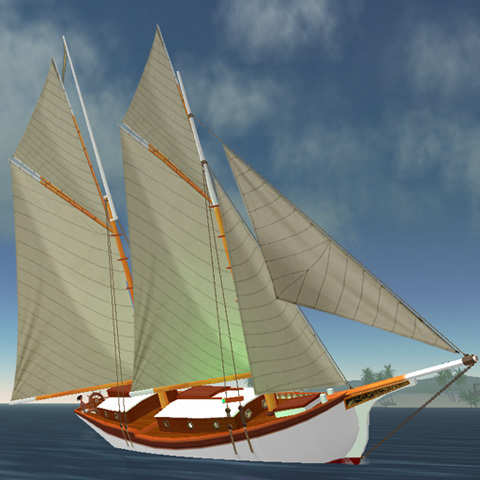 Like the other larger Trudeau yachts, she is a combination vehicle (27 prims) and attachment (254 prims). 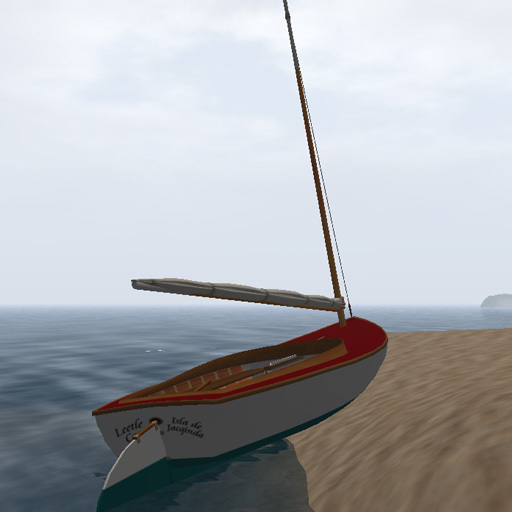 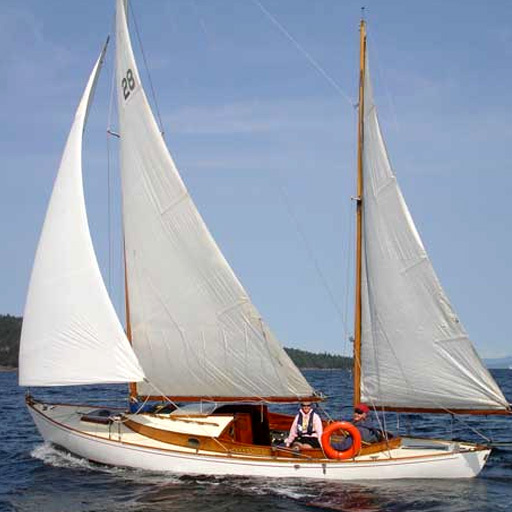 Thanks to the ingenious sailing mechanics originally devised by Kanker Greenacre and modified by Jacqueline Trudeau specifically for the Trudeau line of yachts, she *really sails* using the SL wind. 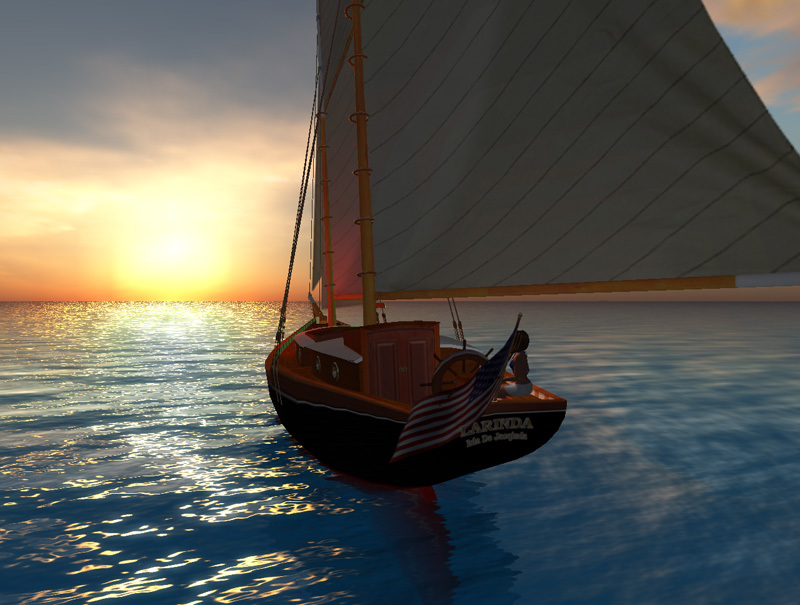 A selection of traditional nautical color schemes are set by voice commands. 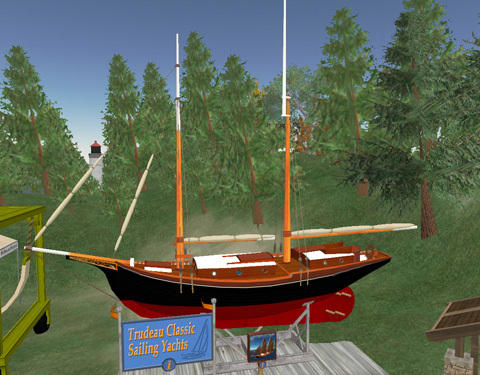 See Larinda and the rest of the fantastic boats at the Sailors Cove Boat Show running through Oct. 20th. 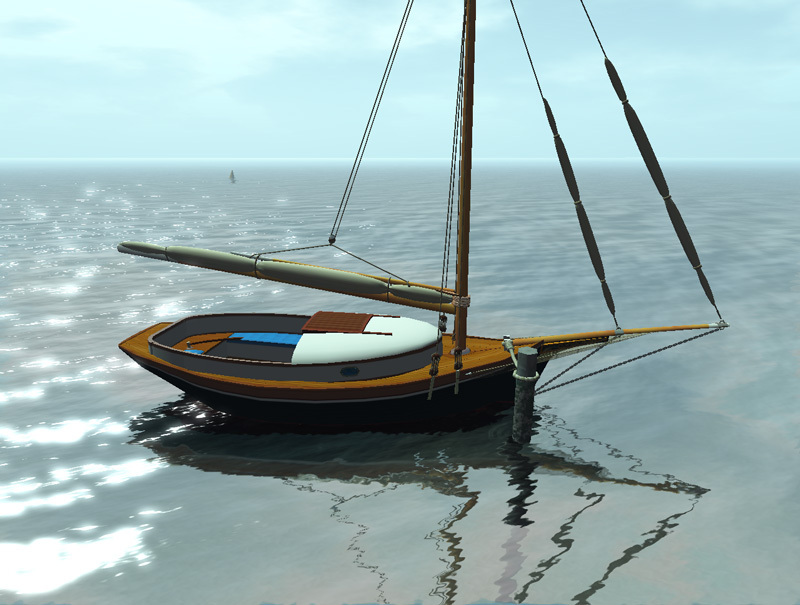 And a BIG thanks to Tasha Kostolany, Izabella Bentham and Ravishal Bentham for organizing this fantastic SL event.